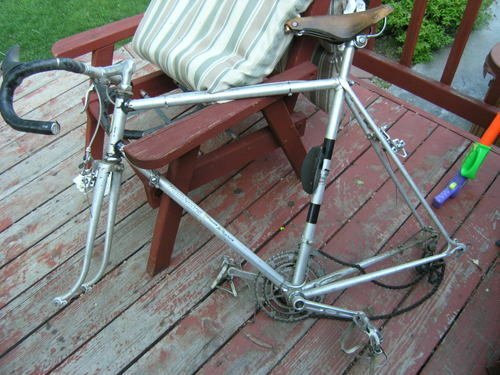 My fun project of late has been restoring my old bike to its former glory. 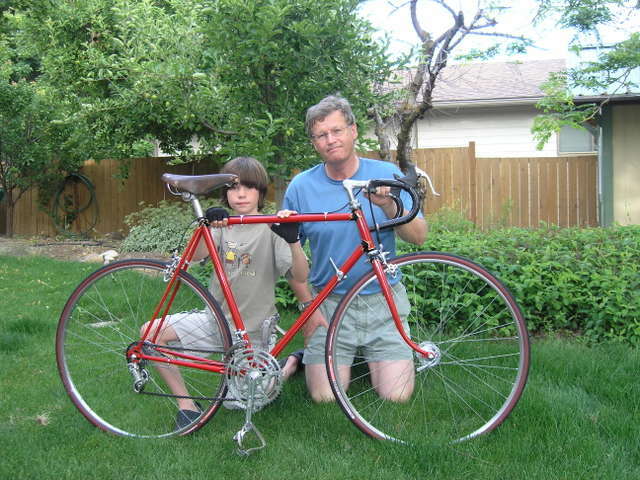 In 1973 I bought my first real road bike, a Motobecane Grand Record. I rode it everywhere, including to work, which was 17 miles one way. As I had kids, this became the kid hauler, the trailer hauler, the bike for family rides through the orchard country of Wenatchee and Yakima. When I went to law school in Moscow, a town full of gravel roads, the Motobecane hauled me to classes. After hanging in the garage for 12 years in Boise, down it came for a rebirth. The Grand Record has some good features and was toward the top of the line of the Motobecane brand. 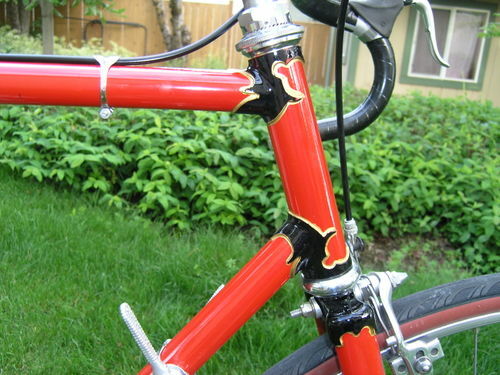 I have since learned that many people think that French road bikes of that period were the pinnacle of road bike design, and have a different and desireable feel compared to more contemporary road bikes. 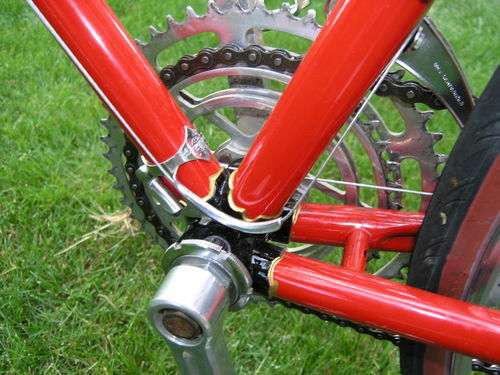 The Grand Record has tubes made of Reynolds 531 double butted tubes, and fancy Nervex lugs holding the tubes together. It has some components made by Campagnolo, the premier bike components manufacturer. Other componenets are so-so, but thanks to ebay I can upgrade them as part of the overhaul. This is the way the frame looked "before". These are the "after" shots, although it will look better after some ebay purchased parts get installed. A host of bicycle patents and technology are in the bicycle technology category.